We’ve compiled a HUGE list of grants available to filmmakers across the globe. The list is a work-in-progress and we’ll continue to update is as we learn of new grants and funding programs. If we’ve missed a grant, let us know by emailing Nicole or by leaving a comment below. Two new innovative programs designed for directors and writers to start and further their careers in television. With the backdrop of active Warner Bros. Television sets as the learning environment and top television directors, cinematographers and showrunners as the instructors, those selected to the program will have the opportunity to participate in a workshop that is unprecedented and unparalleled in the industry – from WB. Directors Workshop – Applicants must submit two letters of recommendation from industry professionals. Writers Workshop – Applicants cannot have been staffed on a primetime cable or network show. Writers may submit a maximum of two scripts. No recommendation letters, please. Designed to support emerging writers, directors, and producers in the development of their craft as well as their projects. Fast Track is a film financing market that takes place during the Los Angeles Film Festival designed to help narrative and documentary filmmakers move their current projects forward. During three days of intensive meetings, Fast Track connects filmmakers with financiers, production companies, and other industry professionals. This highly selective program is open to established as well as up-and-coming filmmakers with exceptional projects still seeking funding – from FIND. Filmmakers accepted to Fast Track are also eligible for a $15,000 production grant awarded by the Alfred P. Sloan Foundation and a $10,000 Millenium Entertainment Fellowship. Criteria: Applicants must have a director and at least one principal producer working on a feature-length narrative or documentary film. Narrative films that are compelling and original, and demonstrate a filmmaker’s uniqueness of vision and must be in the development or pre-production stage. Documentaries may be in the work-in-progress stage. Films will only be considered if the team can show that serious thought has been given to their budget and can articulate why they have budgeted the film at a particular level. Note: Short films, stand-alone scripts and writers who are chiefly interested in selling their screenplays or securing representation will not be considered. To develop and support cinema in regions with a weak film infrastructure, while fostering cultural diversity in German cinemas. The World Cinema Fund supports films that could not be made without additional funding: films that stand out with an unconventional aesthetic approach, that tell powerful stories and transmit an authentic image of their cultural roots – from WCF. Criteria: For the production and distribution of feature films and feature-length documentaries. Support is focused on the following regions: Latin America, Central America, the Caribbean, Africa, the Middle East, Central Asia, Southeast Asia and the Caucasus. Creative Capital supports innovative and adventurous artists across the country through funding, counsel and career development services. Our pioneering approach—inspired by venture-capital principles—helps artists working in all creative disciplines realize their visions and build sustainable practices – from CC. Criteria: For U.S residents only. Designed to help remarkable or urgent feature films by innovative and talented filmmakers from Africa, Asia, Latin America, the Middle East and parts of Eastern Europe on their road to completion. In 2013 the Hubert Bals Fund had close to €500 000 at its disposal and was able to make individual grants of up to €10 000 for script and project development and €20 000 for post-production – from HBF. The HBF Plus: An initiative made available with financing from the Netherlands Film Fund, offers €50 000 to four Dutch filmmakers allowing them the possibility to get involved more often in international productions, and to support the Hubert Bals Fund projects in the stage of actual production. HBF Plus – For Dutch filmmakers wishing to be involved in international productions or to support the completion of HBF projects. Deadline: March 1st (first round) August 1st (second round). Provides cash grants and in-kind production services to complete films that fit the established criteria of being by, for or about women. The works-in-progress are viewed by a special jury of WIF professionals that selects the winning submissions – from WIF. Criteria: Open fund for narrative features, shorts or documentary films specifically by, for or about women. The film award consists of a grant of $5,000 to a U.S. filmmaker 35 or under at the time of application for the production of a short film that will be shown as a private screening with the filmmaker in attendance at the annual foundation event at the Tower Theatre in Salt Lake City in December the year the grant is awarded – from the Davey Foundation. Criteria: $5000 to a U.S. filmmaker 35 or under at the time of application for the production of a short film. US in Progress Paris will take place during the third edition of the Champs Elysées Film Festival in Paris, on June 12-14 2014. The programme will present 6 US indie films in post-production to European buyers in order to achieve completion and to foster the circulation and distribution of American indie films in Europe. The event will take form of two days of intense exclusive screenings (behind closed doors, for registered guests only) and one-to-one meetings – from Black Rabbit Film. Criteria: US independent soon-to-be-finished films at post-production stage (rough cuts) with no US or international premiere nor European sales representation. A mentorship program supports first-time feature directors when they need it most: through the completion, marketing and distribution of their films…this highly immersive program provides filmmakers with the technical, creative and strategic tools necessary to launch their films – and their careers – from IPF. Criteria: For first-time feature directors with films made with a budget that does not exceed one million dollars. This grant is now available for shorts and low budget independents as well as documentary filmmakers. We have expanded to further our goals of creating films that are “unique and make a contribution to society” – from RDG. Production grant programs for individual film and video artists who reside within five boroughs of New York City and Minnesota. These programs serve artists who work in the genres of experimental, narrative, animation, and documentary production – from TJF. Criteria: For artists who reside within five boroughs of New York City and Minnesota. This year we’re changing our approach to the firstPix grant. Rather than fund on a pre-determined cycle, we will accept queries from any film that is being crowfunded at any point during the year…nextPix will offer funding of up to 5K through the crowdfunding campaign of the filmmaker’s choice. nextPix will also publicize the selected project(s) through its own website and may assist filmmakers in promoting their project. We anticipate assisting between 1-3 projects a year. – from nextPix. Criteria: Must be the first or second feature DV/film project of the director(s),the projected budget cannot exceed $250,000.00, the DV/film should have a positive humanitarian message. Criteria: Camera grants are available only for productions in the United States. The SA program is a two tiered support for the development and production of Australian feature films. 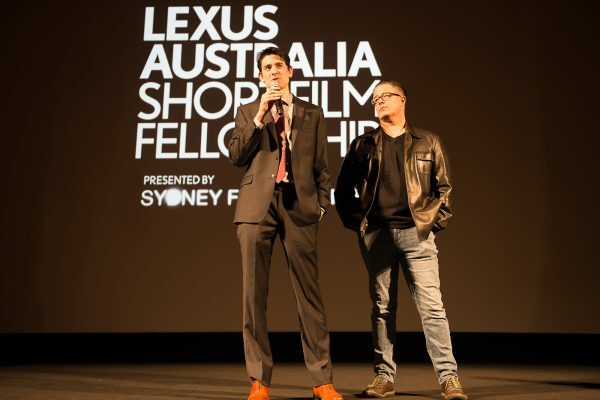 Screen Australia’s feature funding programs are targeted at experienced filmmakers. For other opportunities, check out our Talent Escalator programs, or Getting started in the Filmmaking section – from SA. Development Fund – open to projects of all genres, and to animation as well as live-action. Screen Australia is looking for striking and engaging storytelling that will connect with audiences. Screen Australia generally requires the commitment of an experienced producer as part of the team, and that the application should come from the producer. Production Fund – open to films in any budget range, including low-budget projects. Where relevant, applications for large-format projects or theatrical documentaries can also be made under this program. The program can provide post-production completion funding. Marketplace attachments are required, but the marketplace by itself is not the only criterion for making investment decisions. MS have two funding support programs available. Breaks Funding – Focuses on getting stories from script to screen with cash support, production subsidies and expert development workshops. Eight filmmaking teams (producer, director, writer) will be selected – from MS. Criteria: Open to Australian Permanent Residents who reside in NSW only with short film projects of up to 10 minutes duration (drama, documentary, animation and experimental projects will be considered) or narrative projects created for online or small screen delivery (webisode series, transmedia, interactive, online documentary, mobile or tablet content with a narrative focus will be considered). Applicants with feature film or substantial television credits in their elected role are not eligible. Jump Start Support Program – Film and content makers looking for equipment or studio facilities can apply for the Metro Screen Jump Start production subsidy to help balance the production budget. Jump Start provides $45,000 worth of production subsidies over three application rounds. Broadcast quality equipment, the green screen studio and post-production facilities are made available to film and content makers at hugely discounted rates through the Jump Start subsidy – from MS. Criteria: Open to Australian Permanent Residents who reside in NSW only. Screen Tasmania provides [a number of] grants and equity investments in the development, production and marketing of Tasmanian screen projects, including drama, documentaries, feature films, TV series and digital media.Most funds are only open to ‘emerging’ or ‘experienced’ practitioners, that is, those with at least one recognised credit. Applications can be made to Screen Tasmania at different times depending on the specific fund – from ST. Available funds are: Digital Innovation, Production Investment, Project Development, Industry and Enterprise Development, Festivals and Events. Criteria: For the development of Tasmanian productions and/or co-productions. Deadlines: Check specific funds for deadlines & eligibility. Criteria: Entrants must be 18 years of age or older and legal residents of the fifty (50) United States or the District of Columbia. Criteria: Open to all first time feature documentary and narrative directors with films in post-production. A joint initiative between Bertha Foundation and BRITDOC, is the first European-based outreach and engagement fund…The fund is looking to support smart, strategic outreach campaigns for ambitious independent documentary films with a social issue at their core; films which have the ability to achieve real change on a local, regional or global level – from BRITDOC. Criteria: Open to filmmakers from around the world. A fund which acquires a range of non-fiction programs including point-of-view, social issue, international stories, animation and a limited number of short docos for their U.S premiere broadcast. PBS will licence the film exclusively for a three year basis and accepted programs will receive a licensing fee that is negotiated relevant to market rates. Independent Lens is seeking submissions of films in advanced rough cut or fine cut stage or completed films to broadcast during the October – June season – from IL. Criteria: Submissions must have been produced in the last three (3) years. IL will consider exceptional works completed before this date only if they have achieved significant recognition. IL accepts all styles of non-fiction film including POV, social issue, experimental, animation, etc. Programs must meet PBS and FCC broadcast standards, and PBS technical guidelines. Programs must comply with PBS editorial and funding standards. All content must be cleared for broadcast on U.S. television. OC provides completion funds for single non-fiction public television programs on any subject, and from any viewpoint. Projects must have begun production as evidenced by a work-in-progress video…Single programs of standard broadcast length (half-hour or one-hour). In rare cases, when a filmmaker’s skills, subject, and story structure warrant it, ITVS will consider programs at feature lengths. Works-in-progress (for non-fiction submissions), i.e. projects that have already begun production – from OC. Criteria: Only available to independent producers who are citizens or legal residents of the U.S. and its external territories. Only programs that can be completed within one year of contract. The entire proposal review process takes up to five months. Only one to two percent of Open Call applicants will receive funding. Deadlines: Mid-January (round one) and Early-August (round two). Applicants may apply with only one project per call. Criteria: Applicant does not need to be a U.S resident, however, any grant funds to be expended in the United States by a non US citizen or US resident may be subject to mandatory US government withholding and the recipient may be required to file a US tax return. The applicant (Project Director) must be 18 years of age or older. The applicant must be an independent filmmaker working on an original full length (minimum 40 minutes) documentary that addresses a critical issue in the United States. Applicant should be an experienced filmmaker with at least one key above-the-line (producer, director, co-director, co-producer) or other principal creative (director of photography, editor) credit on a previously completed documentary. Note: Completed films are ineligible. Full time students and student films are ineligible. Short documentaries (under 40 minutes finished run time) are ineligible. Good Pitch² Australia is a satellite event, organised and run independently by Shark Island Institute and Documentary Australia Foundation. Good Pitch² Australia is proudly supported by leading philanthropic bodies – Philanthropy Australia and Pro Bono Australia – who are the Community Partners for the initiative…GP is an invitation-only event starting with an intensive two-day campaign development workshop, followed by the day-long live event – from GP. Criteria: Films of any style, with run time of sixty minutes or over and which tackle a national or global issue, which have something important to show us about the world or ourselves. Criteria: The director of the project should have the nationality of a country as defined on the DAC-list and primarily live and work in this country. In addition the production company attached to the project must be based in a country on the DAC list and contribution funds can only be spent in the countries specified on the DAC list. Note: In the category Production & Post-production the following countries can not apply: Argentina, Brazil, Chile and Mexico. Public Television broadcast…We’re particularly looking for stories that advance CPB’s initiatives–The American Graduate, and Women & Girls Lead. Awards for research and development range from $5,000 to $20,000; awards for production or completion can be up to $100,000; and, new media awards range from $5,000 to $20,000 – from VMM. Criteria: Programs must meet PBS and FCC broadcast standards, and PBS technical guidelines. Programs must comply with PBS editorial and funding standards. All content must be cleared for broadcast on U.S. television. Independent and Public Television producers, film and video makers. Applicants must hold artistic, budgetary and editorial control and must own the copyright of the proposed program. Applicants must be 21 years of age and a U.S. citizen or legal resident of the United States or its territories. Grants between $1,000-$10,000 to support emerging documentary filmmakers (of up to ten years experience) who live and work in California, Oregon and Washington – from PPF. Criteria: Limited to organizations anywhere in the US, certified by the IRS as “public charities”, which undertake to supervise any project for which individuals receive funds, and to control the selection of individual recipients of funds. The fund does not provide support for endowments, building campaigns, accumulated deficits, or ordinary operating budgets, or make grants to individuals. The fund does not support instructional or performance documentaries or student film projects. Filmmakers are eligible for only one grant from the PPF during their careers. Funding is limited to U.S West Coast documentary filmmakers only. Supporting the production and distribution of serious, fact-based journalism news and documentary programs for television, radio, and the web that help inform the American public about important domestic and international current affairs and policy issues. Grants of between $50 000 – $200 000 are available for the production of social-issue documentary films on important contemporary topics, intended for a broad audience, particularly in the U.S. – from MF. Criteria: Address important, contemporary social topics – international or domestic. Are led by experienced U.S.-based filmmaking teams that have past success in bringing a documentary project to successful completion and reaching broad U.S. audiences. Note: MF do not fund biographies, or films that focus primarily on one person. LINCS is not a grant; ITVS provides a co-production investment in the program. Providing matching funds to producer-station partnerships. Up to $100,000 in matching funds is available for a single broadcast program – from LINCS. Criteria: Citizens or legal residents of the U.S. or its external territories. Persons age 18 or older. Programs that will engage national as well as regional audiences, revealing universal themes through the lens of local perspectives and realities. Programs that can be completed within one year of contract. Stations and producers must apply to LINCS together, after having created a partnership. A list of public television stations can be found on the PBS website. Note: Producers representing foreign-based production entities are ineligible. Students and organizations such as universities, foundations, and nonprofit media organizations are ineligible. Cable/public/community access stations are not eligible partners for LINCS funding. An international film fund offering between £10,000 – £50,000 to documentary filmmakers from any country with a number of different grants and investments. The fund supports projects at the intersection of film and investigative journalism that break the important stories of our time, expose injustice, bring attention to unreported issues, and cameras into regions previously unseen – from BRITDOC. Criteria: BRITDOC are particularly looking to work with filmmakers with a journalistic background or those who are collaborating with journalists. It is key that the journalistic intent is embedded within the film itself rather than the film simply being about a journalist or journalistic institution. BRITDOC is unlikely to fully fund a film so it must have international co-financing potential. Note: BRITDOC does NOT fund retrospectively or documentaries that are considered to be Profiles, News Current Affairs, Fiction films, Formats or Series. A grant for films which are currently in production or in post-procduction which highlight the ethical treatment and welfare of animals. $20,000 prize is awarded to the filmmaker who best succeeds in merging animal issues with a compelling narrative. Film projects must contain an animal welfare or animal protection issue – from ACE. Criteria: ACE works in all genres and all formats. ITVS accept proposals on an ongoing basis for commissioned documentary projects that fall outside of the parameters of the standing initiatives (DDF, LINCS, OPEN CALL). For development funding, activities may include travel, research, script development, preliminary production for fundraising/work-in-progress reels, or other early-phase activities. For production funding, all production and post-production activities are eligible. Producers should note that ITVS’s capacity to fund projects outside of its standing initiatives is extremely limited and highly competitive, but will consider programs for special support and funding on a case-by-case basis…Series and Special Projects Funding is not a grant; applicants receive funding in the form of a development agreement or production agreement that assigns ITVS certain important rights over the project during the term of the contract. – from ITVS. Development Funding – Proposals for documentaries that have not yet begun production. Programs that can become eligible for ITVS production funding initiatives as single programs of standard broadcast length (half-hour or one-hour). In rare cases ITVS will consider feature-length programs. Production Funding – Proposals for limited series (two to four episodes). Producers should apply to Open Call, LINCS, or the International Initiative for production funds for single programs. As with other ITVS initiatives, applicants may only have one project under consideration at any one time. Hai there..! we are a youth from Ashwell Graphics Academy youth Organization beast in Otjiwarongo Namibia. in AGA we are taking or gather young people out of street and bring them together, train them in Acting, Script Writing, music, Video Editing, filming or Camera operation, and many more. what i want to find out is that.! How can we be part of this grant or How do you fund youth that are involve in film? we rely have a lot of project that we want to work on but we are leaking of some funds. Like us on Facebook Ashwell Graphics Academy. ok thanks and i will be waiting. I am desperately seeking funding for a gifted young South African women in film. She is mobile and thus willing to further her studies anywhere globally. I am seeking help to produce a documentary, about the 1960 Ingquza Revolt in the Eastern cape South Africa. I would also like to further my studies, I’m interested in multi-media in visual arts. Any assistance will be appreciated. I am Kester Ezuma, independent film maker of in US, desperately seeking for fund to make a full length feature film based on a true story of historic culture. The estimated budget of my film is about $50,000.00. MY NAME IS CHUKWUEMEKA .O. SAMUEL aka SAMCHUKS EMEKA, I AM A DIE HARD INDEPENDENT FILMMAKER. I HAVE PRODUCED, DIRECTED AND CINEMATOGRAPH ETC.. SOME SHORT AND LEGHT FILMS WHILE WORKING WITH A PRIVATE TV OUTFIT IN MY COUNTRY TOWN. I DESIRE TO IMPROVE MY SELF AS AN INDEPENDENT FILMMAKER BUT I DON’T WANT ANYONE TO SPEND HIS OR HER MONEY ON ME, WHAT I WANT IS TO WORK WITH AN INTERNATIONAL COMPANY THAT WILL NOT PAY ME BUT TRAIN ME TO BECOME A BETTER FILMMAKER THAN I WAS BEFORE. I WILL APPRECIATE IF I AM GIVING OPPORTUNITY TO CONTRIBUTE MY OWN QUATER IN THE GROWTH OF THE COMPANY THAT WILL TRAIN ME THANKS.